The worst violence since the Algerian War! 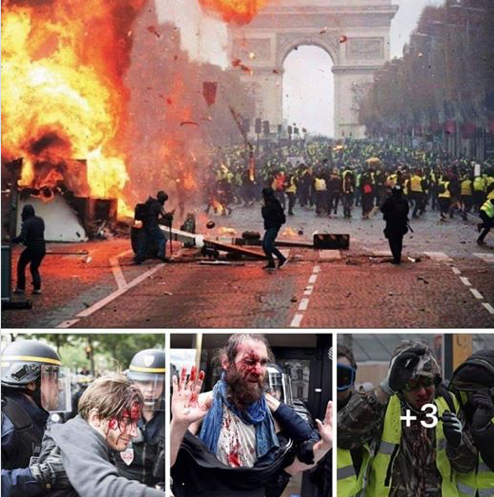 Police are under orders to attack the peaceful patriotic demonstrators, those pesky patriots left over from the older culture – Macron thought they were all gone, but he was wrong, so he has to terrorize them, and even infiltrate their ranks, using organized leftist groups to generate violence that he then blames on the Gilets Jaunes themselves. Patriots are definitely not sacred cows. Au contraire, they are the enemy of the State. 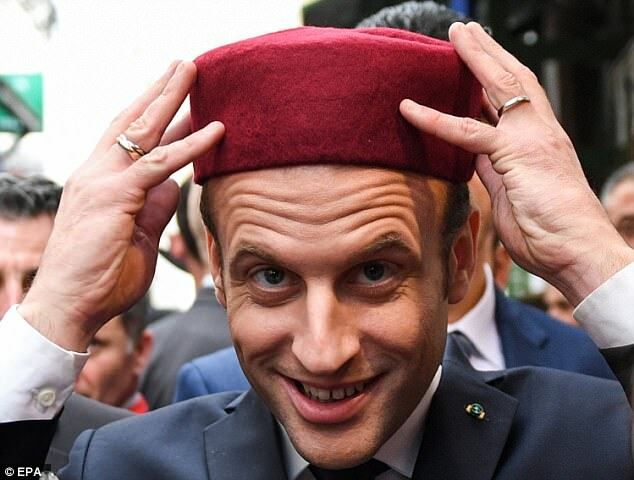 The leader of the French National Party — Marine Le Pen — is criticizing French President Emmanuel Macron amid ongoing yellow vest protests. (ANSA) — Rome, February 7 — Deputy Premier and 5-Star Movement (M5S) Luigi Di Maio said Thursday his meeting Tuesday with members of the French Yellow Vests protest movement in Paris was “fully legitimate”. That would suggest that there are mosques which are not engaged in “radical Islamic preaching”, which is absurd. They all read from the same book. Journalistic sleuths attribute everything bad in the world to climate change. Forbes believes climate change caused ISIS. Obesity is also blamed on climate change.